Preheat the oven to 170°C/340°F. Put the flour, baking powder, and sugar in a large bowl and stir it together. Add a part of butter, eggs, and beat for approx. 1 min. Then add chai syrup and milk and stir for approx. 1 min more. Line the muffin tin with muffin liners and fill them with the batter. Bake in the oven for approx. 20 min. When done, let them cool completely. Meanwhile, prepare the icing. Place the remaining butter in the bowl and beat it with the mixer for approx. 2 – 3 min. Add the confectioner’s sugar and continue beating until well combined and fluffy, approx. 3 min. 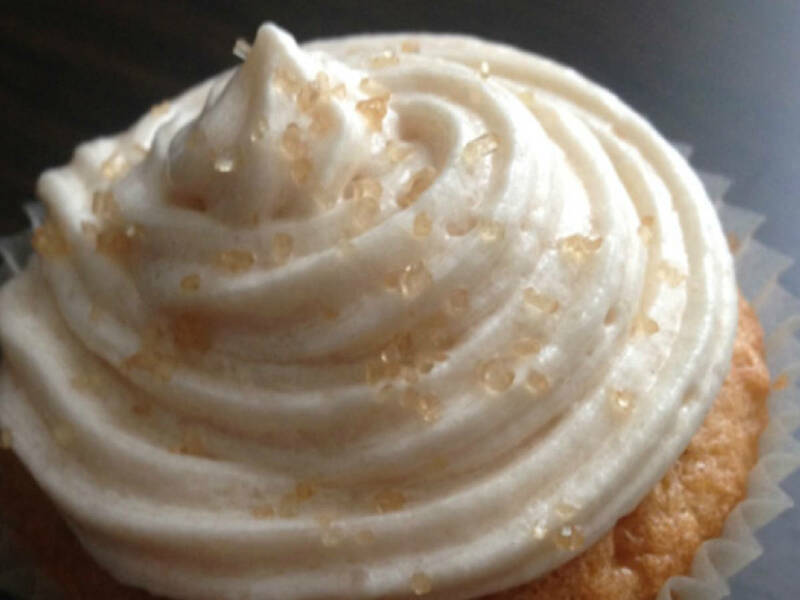 Transfer to a piping bag, decorate the cupcakes with the frosting, and enjoy!